I'll be teaching the 1st verse of Teach Me to Walk in the Light this Sunday. We'll be singing it on Father's Day in sacrament meeting. The congregation will join us for the 2nd and 3rd verses from the hymn book (pg 304). I thought it would be appropriate for Father's Day as it describes the roll of a father but also is considerate for those kids who don't have an involved father-figure in their lives. If you would like to see all of my Father's Day lesson plans, check them out HERE. I liked the simple lesson plan found in the 2005 April Friend HERE (scroll down to the "Song Presentation" section) that I slightly altered. Print out 5 footsteps from my document HERE (printing 3 pages which will give you 6 footsteps so just omit one of them). I printed mine on some fun colored paper but that's optional. 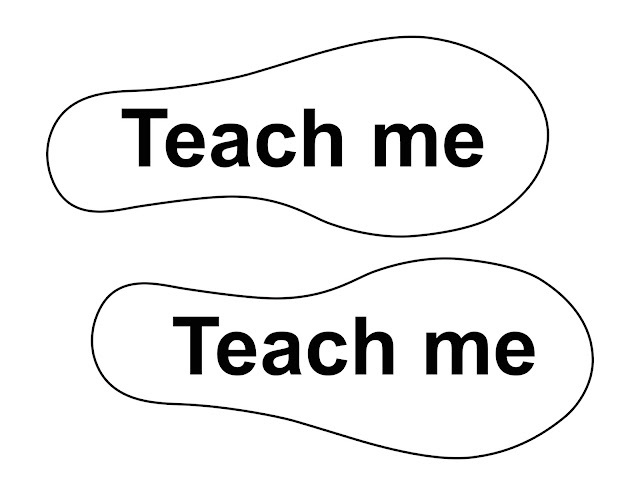 Before primary, tape the 5 "teach me" footsteps and 4 GAB pictures randomly under the primary chairs. As a quick attention getter, ask the children if it's easier to walk in the dark or in the light and take answers. Often times, the gospel is referred to as the light. Ask if the children if they would prefer to go through life with or without the light or knowledge of the gospel and take answers. Begin teaching the song by having the children walk in place to the rhythm, no singing, piano only. Point out that the rhythm (3/4 time) has a steady beat, just like walking. Next have the children walk in place to the melody (so they only step when the notes are sung). You and teachers sing with the piano as you step, children can sing if they are familiar with the words. Next, sing the song with teachers and have the children count how many times the words "teach me" are sung . Quickly discuss how each picture correlates to the words in the song (you can optionally write the key words associated with each picture underneath it). Time permitting, gradually remove footsteps, pictures and keywords until the song has been sung several times. The children can optionally stand on "teach me" and perfom simple actions during each phrase (walk in place, fold arms, point to head for "know," etc.). Bear testimony that by making good choices and learning the gospel, we will be able to go throughout our life in light.